Gemstone donuts are beautiful and always catch you eye at bead shows. But, when you get home, you don’t know what to do with them, so they get stashed in a box or drawer for “later”. 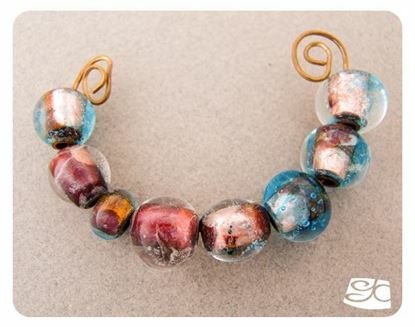 This project incorporates one of these smaller donuts into a simple, but dramatic piece of jewelry. 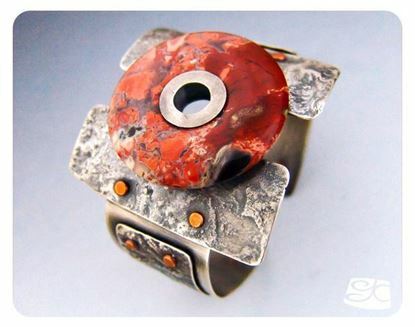 Fused silver has a very attractive organic, one-of-a-kind look, making it the perfect element for a unique piece of jewelry. If you have not tried fusion before, this is a small project perfect to try your hand at without risking a lot of material. The tutorial is an instant downloading PDF file, it has 8 pages, 18 photos, a life size template of all the components and plenty of tips! For intermediate skill students. DIY JEWELRY KIT 4: 4 pairs of Silver and 2 pairs of Copper components and 2 Digital Tutorials. 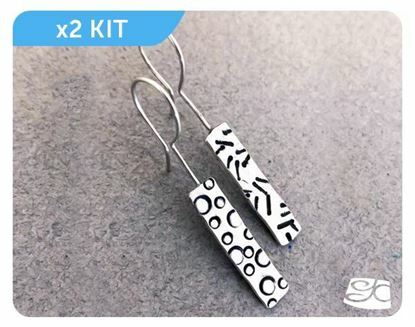 No Solder "Dot-Dashes Silver Earrings " + " Large Hoop Earrings". FREE SHIPPING. Do It Yourself Handmade Jewelry Combo KIT 4. 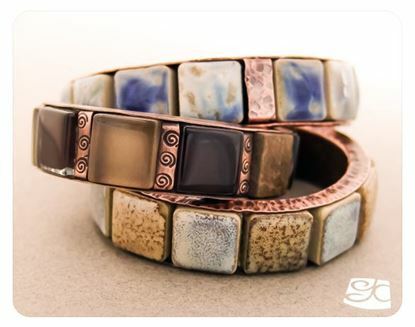 These are 2 wonderful introductory projects to the art of handmade jewelry. The first one "No Solder Dots and Dashes Sterling Silver Earrings" will be fabricated completely out of sterling silver. Their simple and light contemporary design, make these earrings the go-to pair for everyday use. The second one "Silver and Copper No Solder Large Hoop Earring" is a beautiful copper tubing large hoop earrings that can be textured and colored in many ways for everyday use. DIY JEWELRY KIT 2: 2 pairs of Silver-Silver parts plus 1 Digital Tutorial. "No Solder Dot and Dashes Sterling Silver Earrings ". FREE SHIPPING. Do It Yourself Handmade Jewelry KIT 2. 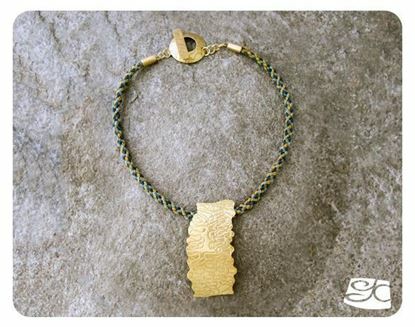 Wonderful introductory project to the art of handmade jewelry. 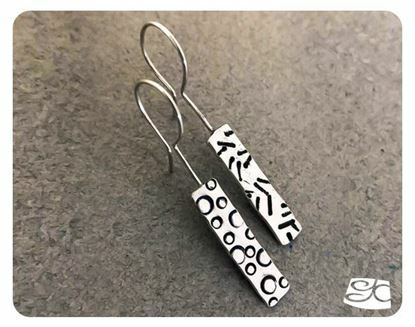 This pair of earrings "No Solder Dots and Dashes Sterling Silver Earrings" will be fabricated completely out of sterling silver. Their simple and light contemporary design, make these earrings the go-to pair for everyday use. 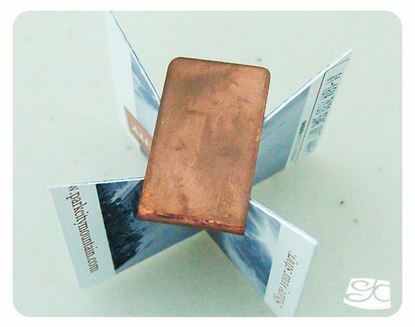 DIY JEWELRY KIT 3: 6 Silver/Copper components and 1 Digital Tutorial. "Silver and Copper No Solder Large Hoop Earring". FREE SHIPPING. 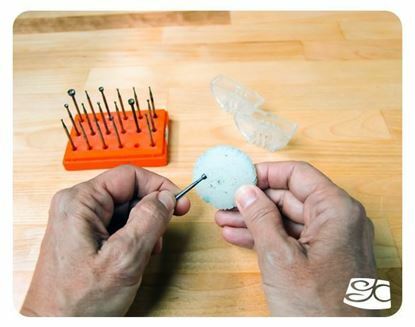 Do It Yourself Handmade Jewelry KIT 1. Beautiful copper tubing large hoop earrings can be textured and colored in many ways for everyday use. 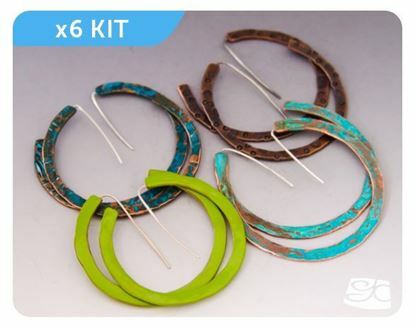 The KIT Includes: * 6 Pairs of Silver-Copper components to make 6 pairs of earrings. * 1 Digital Tutorial The Digital Tutorial will be sent by email in a PDF format. 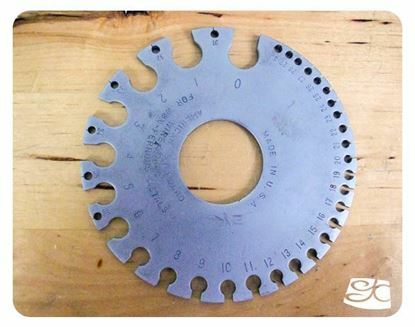 Jewelry tip # 8: Lubricate your jewelers saw blade. This is a FREE PDF file for instant downloading. Use this handy guide to quickly, easily and accurately convert gauge sizes into inches or millimeters—or vice versa. This is a FREE PDF file for instant downloading. End caps are one of the things I prefer to buy rather than make, but sometimes you HAVE to make them (color, texture or shape needs to match the rest of your necklace.) This was the case with the necklace I made last week, I had silver end caps and copper end caps but nooo... brass end caps. So had to get out the brass tubing, sheet and wire and get to work! This is a FREE PDF file for instant downloading. 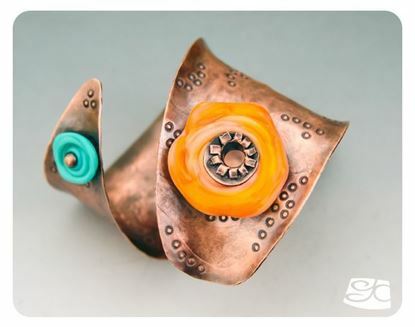 This project is about using a large gemstone donut as the focal piece of a cuff bracelet. Reticulation on silver is a process that results in a heavily textured metal sheet. 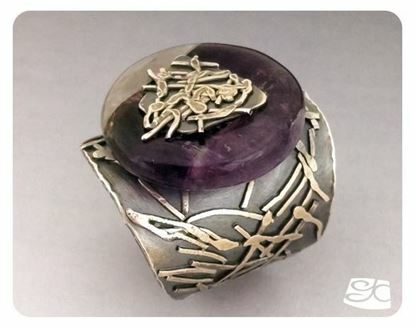 This method produces one-of-a-kind pieces, that are very dramatic and organic looking. The tutorial is an instant downloading PDF file, it has 10 pages, 27 photos, a life size template of all the components and plenty of tips! Includes two mini tutorials. For intermediate skill students.